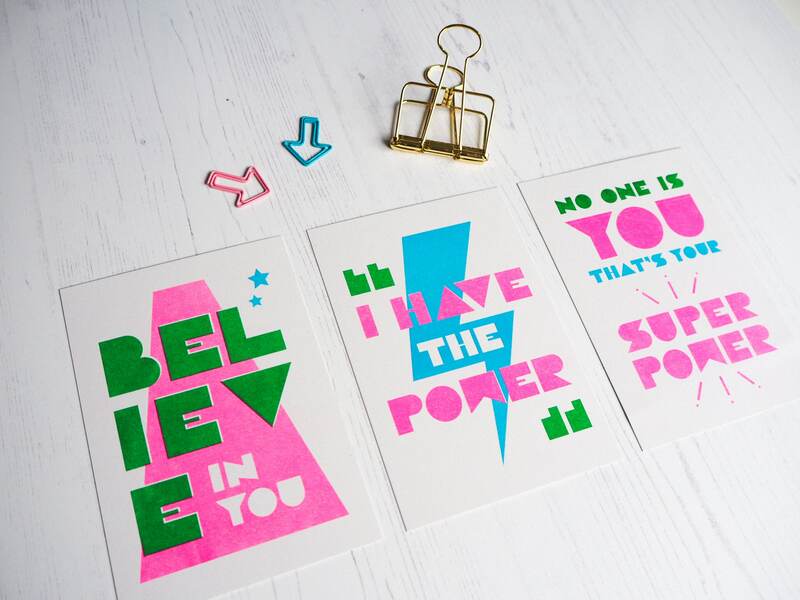 Inspire and motivate yourself or others with this typographic mini print set. This custom designed geometric typeface printed in vibrant colours definitely makes a statement. Designed in my studio in south London. 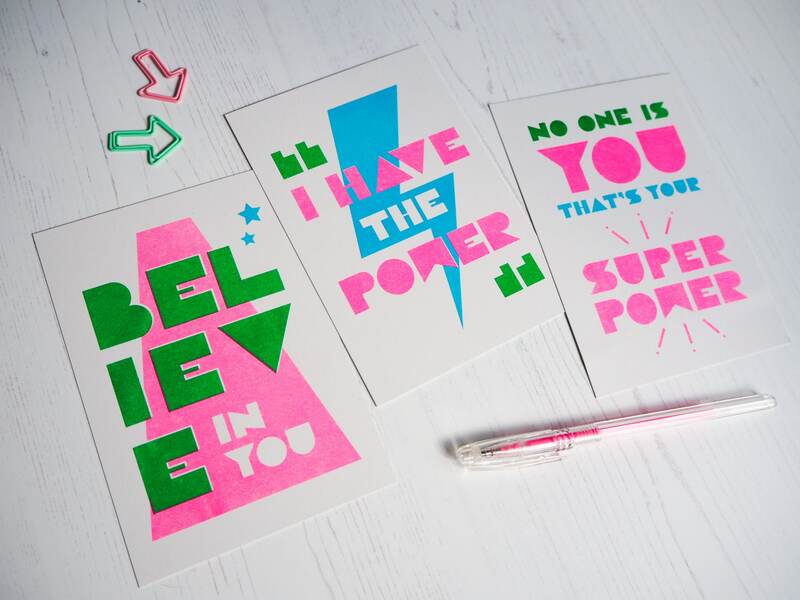 This Risograph prints are A6 size (148 x 105 mm or 4.1 x 5.8 in) and will fit a standard A6 frame. printed with soy-based inks (Green, Blue and Fluorescent Pink) on 350 gsm Cyclus Offset paper, a tactile and natural white paper. Due to the nature of Risograph printing, each print is individual. The print set comes packaged in a cellophane bag with backing card to keep them protected.